PATRICK STRATTNER PHOTOGRAPHY | TEAR SHEETS | Julien Montousse / Zoom-Zoom Magazine. 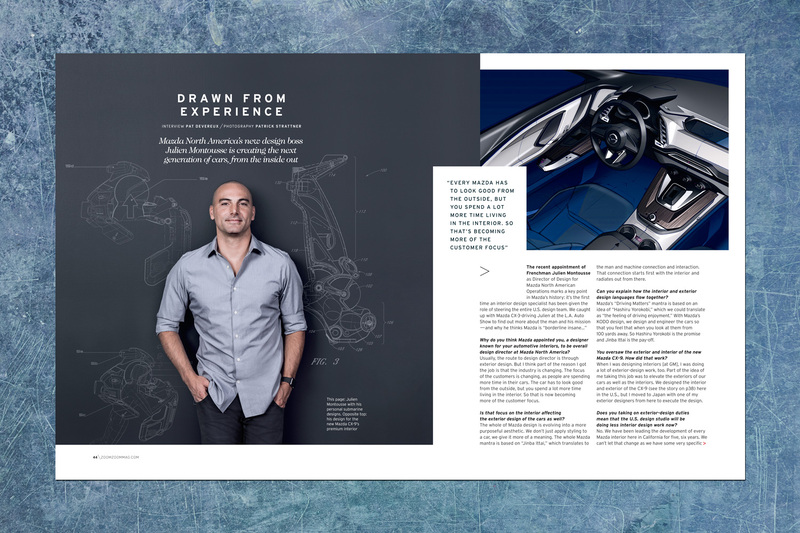 Julien Montousse, design director at Mazda North America. Zoom-Zoom Magazine.